Muki Haklay: Although there are areas where the two books are complementary, in most cases Ramm et al. provides a better understanding of the matters discussed, using a broader and more extensive view. 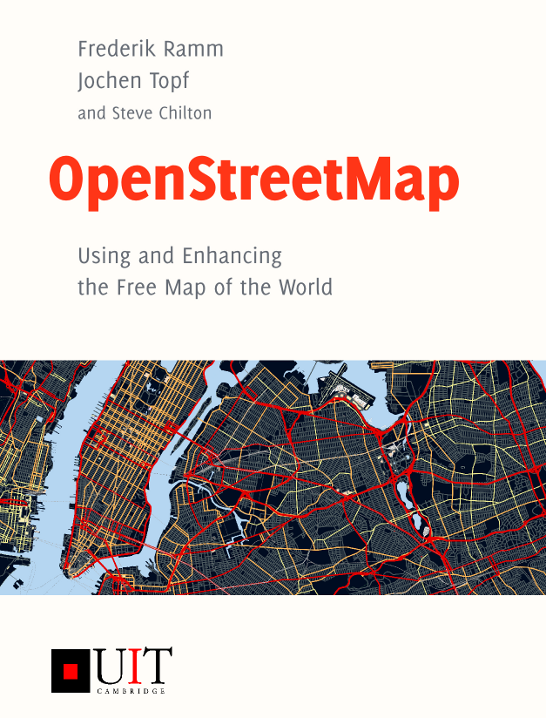 It addresses a wide range of readers, from those unfamiliar with OSM to the advanced programmers who want to utilise it elsewhere, and is written with a progressive build-up of knowledge, which helps in the learning process ... we liked the Ramm et al. book much more and would recommend it to our students. 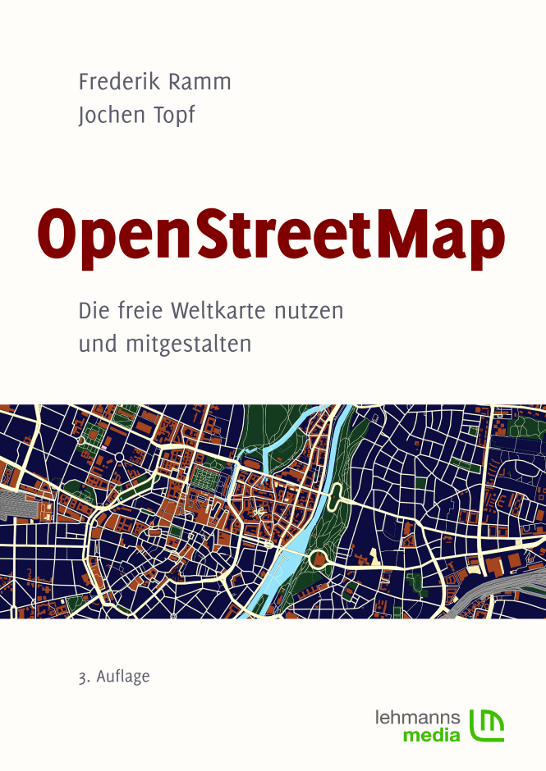 Oliver O'Brien: "If you are at all interested in the OpenStreetMap project ... then I recommend this book. It's as near-perfect as any book can be ..."
Directions Magazine: "I imagine this book will be used first, as an intro guide and later, as a reference book..."
Michael Dobson: "well written, comprehensive and worth your time"
MapQuest Developer Blog: "This book is the perfect gift for map lovers, GPS addicts, cartographers, GIS professionals, developers, ..."
Dan Karran: "This book is a great introduction to, and overview of, the OpenStreetMap project, ..."
Jonathan Crowe (The Map Room): "Those who spend a lot of time on OSM will do well to have this on their shelf." Schockwellenreiter: "Es ist das einzige Buch in meiner doch recht umfangreichen Bibliothek, von dem ich alle bisher erschienenen Ausgaben besitze. Es lohnt sich."